Hardin Co. (44) — Bishop 6, Brewer 3, Hunt 10, Nix 3, Shannon 11, Stricklin 8, Tenneson 3. Bartlett (51) — Karagan Coggin 5, Jessica Jackson 20, Ashley Payne 10, Charity Savage 11, Nyla Smith 3, Dee Dee Williams 2. Cordova (29) — Chardonney Brown 3, Taylor Christian 6, Deaundra Poe-Wilkins 5, Andreana Wrister 15. Munford (55) — Gabby Crawford 20, Ali Gover 3, Shania Johnson 5, Johnna Jones 11, Deja Potter 12, Kyla Taylor 4. Brighton (35) — Taliyah Brown 7, Danielle Collins 6, Alyssa Hunt 2, Kailey Hunt 9, Shayna Johnson 2, Lindsey Morrissette 4, Makayla Rose 2, M.G. Smith 3. Arlington (73) — Raegyn Branch 7, Nakia Grandberry 6, Taylor Lattimore 12, Ashley Lee 12, Callie McMorran 7, Tori Sewell 18, Caitlyn Wilson 11. Records — Brighton 7-19, Arlington 25-7. Ridgeway (47) — Takesia Barnes 13, Brandi Beasley 17, Mericle Blake-Hall 4, Secret Brown 2, Elizabeth Dixon 9, Jamilla Hamlett 2. Central (58) — Miyah Barnes 15, Jasmine Carson 9, Brianna Cooks 5, Tijuana Griggs 10, Kynadi Kuykendoll 1, Johné Stewart 4, Jireh Washington 14. White Station (52) — Allanna Black 4, Kayla Bradley 2, Damiah Griffin 11, Tamia Jones 8, Taelor Manning 2, Dejah Montgomery 4, Brittni Moore 13, Taylor Williams 8. Germantown (40) — Breaunna Burks 6, DeMonica Johnson 6, Destinee Manning 11, Davielle Moore 10, Julie Sandridge 1, Carria Smith 4, Karlynn Woods 2. Hamilton (56) — Samantha Hill 2, Kyra Nathan 8, Undrea Porter 7, Takya Reid 4, Tesia Thompson 35. 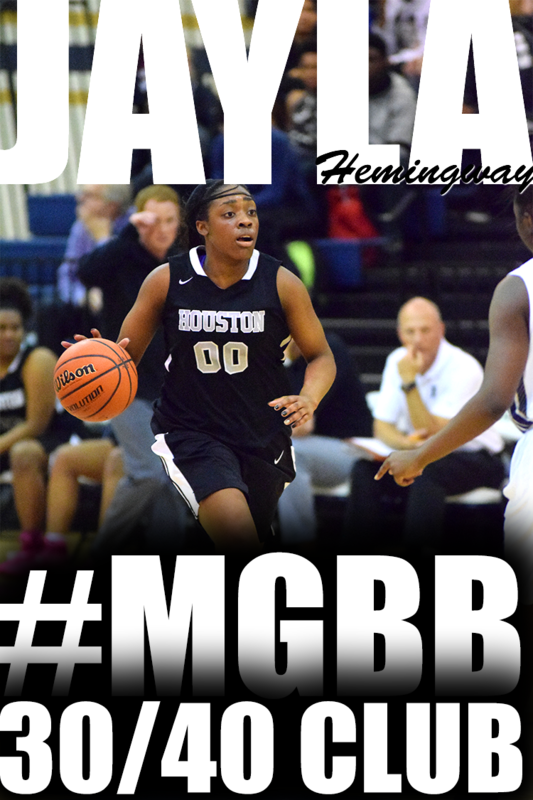 Houston (69) — Shaela Gardner 6, Madison Griggs 11, Jayla Hemingway 23, Rochelle Lee 16, Sydney Malone 1, Jaida Roper 12. Southwind (41) — Asjah Anthony 2, Ya'Taria Coleman 2, Pinkie Fossett 11, Kira Lowery 7, Ebony Shaw 19. Overton (63) — Kiante Butts 3, Rodrea Echols 9, Marquesha Fennell 9, Kyla Green 13, Ciera Pettis 10, Kiara Pettis 2, Kayla Williams 17. Ripley-Tenn. (41) — Adams 8, Barbee 10, Cooper 6, Currie 4, Doles 2, Lee 11. Craigmont (76) — Danielle Conley 28, Keveona Fayne 2, Akeria James 7, Morgan Morris 15, Jessica Neal 13, Tiara Reed 4, Daja Scurlock 5, Jasmine Thornton 2. Liberty Tech (70) — Aliyah Collins 3, Cortney Fisher 12, Adrianna Givens 1, Aleyshia Mason-Pavia 10, Teja Pearson 24, Tyesha Palmer 13, Iya Jones 7. Raleigh-Egypt (68) — Taylor Bridges 11, Taliyah Davis 3, Diamond Hunt 2, Britney Johnson 9, Manaya Jones 18, Jakayla Robinson 2, Japerria Robinson 2, Whitney Smith 11, Ronni Williams 10. Scotts Hill (58) — Anderson 2, Gore 7, Alexander 7, Wyatt 23, Scott 4, Hayes 15. Mitchell (56) — Vertonia Bady 6, Dominique Chatman 6, Dominique McAdory 1, Kiara McCollins 4, Derinisha Taylor 29, Anterrika Willis 7, Zakiyyah Withers 3. Trinity Christian (72) — Ross 5, Little 30, Lee 23, Beaton 6, Bratton 6, Elliiott 2. Washington (62) — Carnessia Griggs 25, Derrinesha Jackson 10, Myneshia Johnson 2, Asia Mosley 15, Hermeshia Perkins 2, Tiana Williams 8. Records — Trinity Christian 17-14, Washington 21-8. Harpeth Hall (56) — Sydni Hill 10, LeeLee Johnson 6, Taylor McDermott 3, Shelby Nutter 6, Anna Owens 7, Raleigh Potts 8, Mary Triplett 10, Mary Hayes 2, Kathleen Goode 2, Raegan Coleman 2. Briarcrest (33) — Anna Marie Hays 2, Caitlin Hunt 3, Morgan Hunt 3, Marika Owens 2, Savanna Owens 18, Brianna Pope 2, Rachel Sullivan 2, Alyiah Wells 1. Records — Harpeth Hall 20-7, Briarcrest 13-17. Ensworth (54) — Cambridge 13, Cowles 14, Harris 10, Whitson 2, Williams 6, Doochin 4, Smith 3, Pitts 2. St. Benedict (72) — Taylor Barnes 12, Kennedy Dlabaj 5, Nicole Ferris 15, Myah LeFlore 18, Courtney Parker 13, Nicole Ungaro 7, Katherine Vassallo 2. Records — Ensworth 12-13, St. Benedict 22-6. Knoxville Webb (31) — Scheetz 8, Luttrell 5, Collier 8, Satterfield 2, Hames 2, Monday 6. Harding (29) — Zaria Christy 2, Anna Horner 3, Antoinette Lewis 19, Sarah Luttrell 3, Callie Stubbs 2. Battle Ground Aca. (44) — Baur 7, Ledman 6, Daniel 6, Puryear 11, Cowie 14. Northpoint (58) — Ashtyn Baker 21, Lauren Gross 3, Hannah Shafer 2, Jade Wells 19, Lindsey Whiteside 13. Records — Battle Ground Aca. 14-15, Northpoint 29-2. Ridgeland-Miss. (58) — Kitchens 7, Lane 8, Craft 9, Erwin 12, Wilson 12, Simmons 10. Center Hill (43) — Victoria Dailey 6, Danielle Hopkins 3, Carrington Kneeland 14, Kaylan Morris 8, Kirmesha Oliver 6, Jada Spratt 4, Adejah Smith 2. Bartlett (48) — Karagan Coggin 5, Stella Gill 2, Jessica Jackson 21, Ashley Payne 4, Charity Savage 10, Dee Dee Williams 6. Arlington (53) — Raegyn Branch 13, Nakia Grandberry 4, Taylor Lattimore 6, Ashley Lee 8, Callie McMorran 6, Tori Sewell 16. Records — Bartlett 15-13, Arlington 25-7. Raleigh-Egypt (51) — Tasia Bland 2, Taylor Bridges 7, Britney Johnson 13, Manaya Jones 12, Whitney Smith 11, Ronni Williams 6. Craigmont (69) — Nakiya Brown 4, Danielle Conley 24, Keveona Fayne 9, Akeria James 8, Morgan Morris 9, Jessica Neal 6, Daja Scurlock 7, Jasmine Thornton 2. Records — Raleigh-Egypt 14-11, Craigmont 28-4. Washington (59) — Carnessia Griggs 9, Derrinesha Jackson 14, Myneshia Johnson 6, Asia Mosley 11, LeVesha Parish 13, Niesha Thomas 2, Tiana Williams 4. Mitchell (61) — Vertonia Bady 14, Dominique Chatman 2, DeMiya Grandberry 2, Derinisha Taylor 24, Anterrika Willis 15, Zakiyyah Withers 4. St. Agnes (35) — Amanda Lammey 10, Marisa Lewis 2, Caroline Pietrangelo 15, Lauren Ryan 2, Rachel Siano 6. Hutchison (43) — Kerrigan Braxton 2, Gardner Dunavant 10, Elizabeth Farnsworth 19, Jordan Groover 1, Macy McCullough 2, Madison Moore 8, Catey Nelson 1. Records — St. Agnes 6-18, Hutchison 11-12. 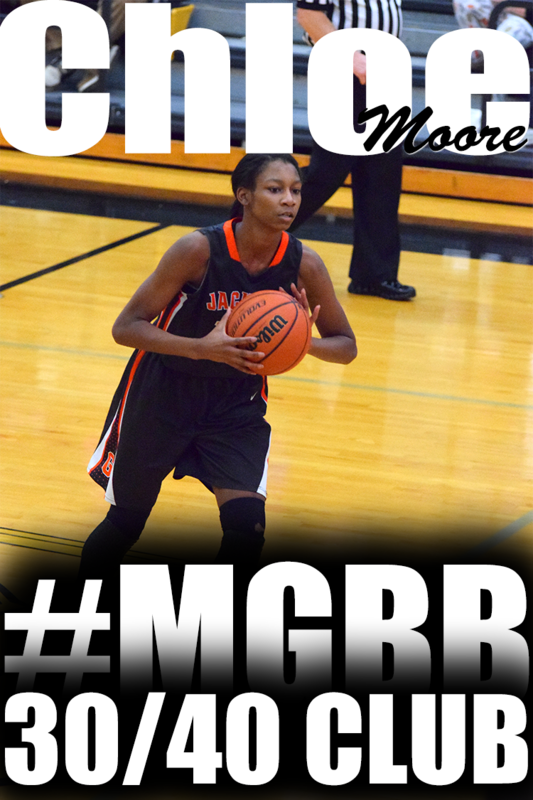 The Lady Choctaws couldn’t get a final shot off and the Lady Cougars were victorious. Dyer County moves on to Region play Friday night to host Cordova. The 2016 district champions Lady Cougars will also play Friday night hosting Bolton in Region 7-3A Tournament action. Cordova (55) — Chardonney Brown 7, Taylor Christian 11, Ashley Cleveland 3, Deaundra Poe-Wilkins 10, Jerhonise Rollins 2, Andreana Wrister 22. Bolton (61) — Kiki Logan 8, Amrie Nickelson 3, Lakyia Parker 2, Heaven Thompson 24, Kerrice Watson 15, Misha Wright 9. Douglass (79) — Marquera Carnes 10, Jennifer Fletcher 1, Gazmyne Herndon 36, Antonekka Jones 17, Kierra Morris 9, Launtrest Readus 6. Manassas (65) — Joslynn Basemore 25, Tonesha Clayborne 18, Rakeeva Curry 4, Latonia Farley 5, Faith Moore 8, Timia Taylor 2, Jasmine Walker 3. Records — Douglass 14-9, Manassas 13-10. Oakhaven (43) — Tayonia Ash 2, Jalecia Cowan 4, Corlishia Howard 37. W.E.B. DuBois (41) — Alexis Acoff 10, Madalyn Acoff 7, Jaida Bachus 16, Kayla Clay 2, Diamond Nelson 6. Harding (42) — Zaria Christy 8, Valecia Harris 2, Anna Horner 11, Antoinette Lewis 13, Sarah Luttrell 8. Northpoint (46) — Ashtyn Baker 16, Lauren Gross 5, Hannah Shafer 9, Jade Wells 9, Lindsey Whiteside 7. Records — Harding 25-6, Northpoint 28-2. Lausanne (66) — Breanna Bullock 13, Taa'lor Fondren 4, Keyla Pointer 2, Selena Pruitt 24, Princess Stark 17, Kristen Wright 6. USJ (60) — Aristorenas 2, Hulme 11, A. Jones 28, E. Jones 2, Stallings 10, Tenpenny 2, Williams 5. Cordova (28) — Taylor Christian 5, Deaundra Poe-Wilkins 6, Jerhonise Rollins 2, Andreana Wrister 15. Arlington (52) — Raegyn Branch 11, Taylor Lattimore 2, Ashley Lee 21, Callie McMorran 6, Tori Sewell 4, Haylee Smith 4, Caitlyn Wilson 4. Records — Cordova 5-18, Arlington 23-7. Bolton (36) — Alyia Lee 6, Kiki Logan 7, Amrie Nickelson 2, Lakyia Parker 6, Heaven Thompson 7, Kerrice Watson 3, Misha Wright 5. Bartlett (61) — Karagan Coggin 2, Kennedy Crawford 3, Stella Gill 5, Jessica Jackson 16, Ashley Payne 3, Charity Savage 24, Dee Dee Williams 4, Elizabeth Williams 4. Germantown (47) — Breaunna Burks 13, DeMonica Johnson 6, Destinee Manning 14, Davielle Moore 5, Julie Sandridge 2, Carria Smith 7. Houston (59) — Melisa Carter 8, Shaela Gardner 2, Madison Griggs 2, Jayla Hemingway 15, Sammiyah Hoskin 4, Rochelle Lee 6, Jaida Roper 22. Overton (74) — Kiante Butts 1, Rodrea Echols 17, Marquesha Fennell 18, Kyla Green 4, Ciera Pettis 7, Kiara Pettis 1, Kayla Williams 26. Central (61) — Miyah Barnes 26, Jasmine Carson 11, Tijuana Griggs 4, Johné Stewart 10, Jireh Washington 10. Oakhaven (12) — Tayonia Ash 4, MiKayla Beamon 3, Corlishia Howard 2, Evetta Shannon 2, Jazlynn Smith 1. Washington (51) — Carnessia Griggs 10, Derrinesha Jackson 8, Myneshia Johnson 4, Asia Mosley 7, LeVesha Parish 8, Niesha Thomas 3, Johneshia Walker 1, Tiana Williams 10. Records — Oakhaven 19-6, Washington 21-6. 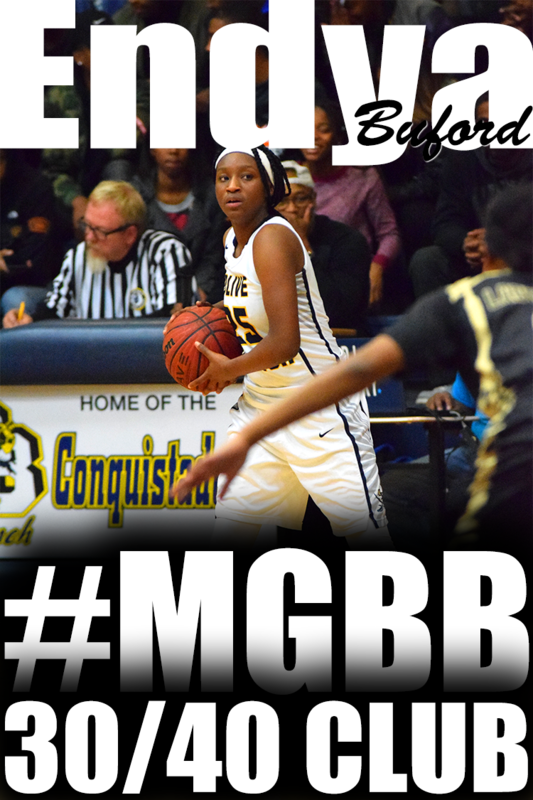 Lausanne (48) — Breanna Bullock 9, Kat DelPriore 8, Sarah Edwards 4, Taa'lor Fondren 2, Selena Pruitt 16, Princess Stark 9. 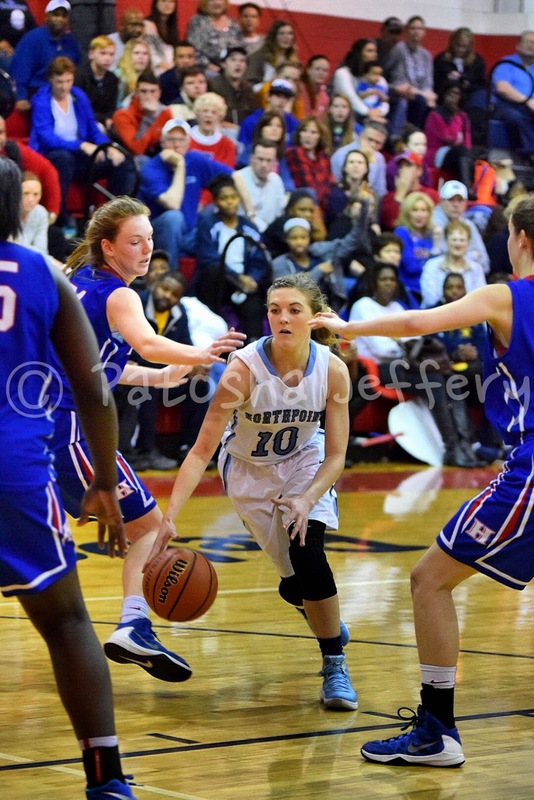 Northpoint (58) — Ashtyn Baker 30, Lauren Gross 5, Hannah Shafer 4, Jade Wells 12, Lindsey Whiteside 7. Harding (58) — Zaria Christy 10, Valecia Harris 2, Anna Horner 18, Antoinette Lewis 6, Sarah Luttrell 13, Callie Stubbs 9. USJ (48) — Aristorenas 5, Homberg 3, Hulme 13, A. Jones 23, Pickens 4. Briarcrest (41) — Morgan Hunt 8, Marika Owens 8, Savanna Owens 12, Julia Perrusquia 8, Rachel Sullivan 3, Lauren Taylor 2. St. Benedict (53) — Taylor Barnes 8, Kennedy Dlabaj 2, Kristina Ferris 3, Nicole Ferris 13, Myah LeFlore 17, Braxton Powers 4, Nicole Ungaro 6. Records — Briarcrest 13-16 (4-2, Division 2-AA), St. Benedict 21-6 (6-0). Cordova (43) — Taylor Christian 18, Deaundra Poe-Wilkins 11, Jerhonise Rollins 2, Andreana Wrister 12. Kingsbury (35) — Laterykah Austin 3, Marrisha Bell 3, Angelina Couch 3, Canzis Echols 20, Angel Fleming 2, Irma Montez 2, Diamond Wray 2. Southwind (58) — Ya'Taria Coleman 10, Moneisha Cooper 3, Pinkie Fossett 9, Kira Lowery 11, Ebony Shaw 25. Ridgeway (81) — Takesia Barnes 6, Brandi Beasley 27, Mericle Blake-Hall 7, Secret Brown 2, Elizabeth Dixon 25, Jamilla Hamlett 4, Shenobia Stewart 8, Fatimah Wells 2. Douglass (46) — Marquera Carnes 4, Jennifer Fletcher 8, Gazmyne Herndon 30, Launtrest Readus 4. Raleigh-Egypt (74) — Taylor Bridges 8, Diamond Hunt 9, Britney Johnson 16, Manaya Jones 24, Jakayla Robinson 8, Ronni Williams 9. W.E.B. DuBois (31) — Alexis Acoff 4, Madalyn Acoff 14, Jaida Bachus 5, Diamond Nelson 8. Mitchell (76) — Vertonia Bady 11, Dominique Chatman 10, Chancey Jackson 2, Kiara McCollins 12, Ravann Rogers 1, Derinisha Taylor 25, Anterrika Willis 15. Records — W.E.B. DuBois 18-2, Mitchell 23-6. Center Hill (39) — Victoria Dailey 3, Carrington Kneeland 13, Kaylan Morris 5, Kirmesha Oliver 6, Jada Spratt 7, Robyn Williams 5. 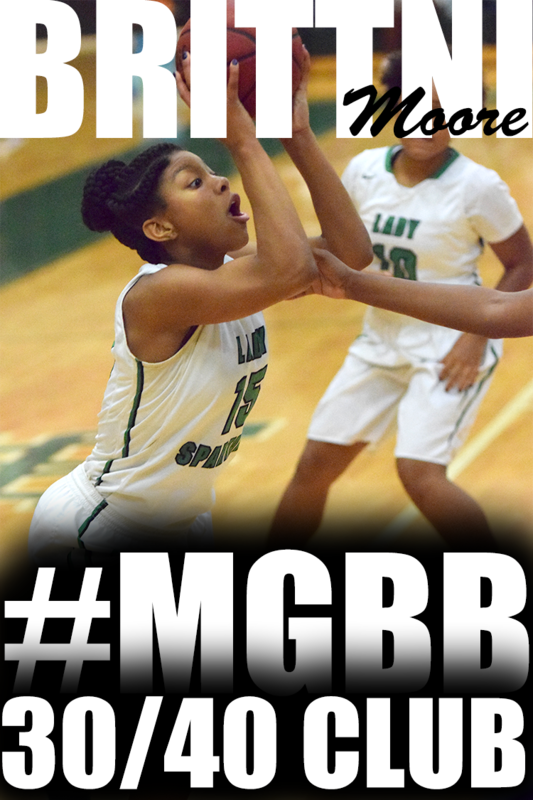 Lake Cormorant (34) — Asia Blackshear 3, Ray Lott 4, Jastiny Suggs 9, Tamiria Thomas 8, Kiara Wilson 10. St. Agnes (41) — Amanda Lammey 5, Lauren Lewis 4, Marisa Lewis 4, Caroline Pietrangelo 8, Lauren Ryan 2, Rachel Siano 5, Amelia Wigley 13. Hutchison (51) — Kerrigan Braxton 5, Gardner Dunavant 12, Elizabeth Farnsworth 9, Jordan Groover 4, Macy McCullough 7, Madison Moore 2, Catey Nelson 12. Records — St. Agnes 6-17 (0-5, D2-AA West), Hutchison 10-12 (2-4, D2-AA West). Germantown (59) — Breaunna Burks 17, Jada Horn 9, DeMonica Johnson 8, Destinee Manning 7, Davielle Moore 5, Julie Sandridge 4, Carria Smith 9. Ridgeway (52) — Takesia Barnes 3, Brandi Beasley 17, Mericle Blake-Hall 3, Secret Brown 2, Elizabeth Dixon 19, Cassye Greer 2, Jamilla Hamlett 2, Shenobia Stewart 4. Hamilton (28) — Samantha Hill 2, Shamya London 3, Kyra Nathan 3, Undrea Porter 7, Takya Reid 4, Tesia Thompson 6, Darry'l White 3. Central (65) — Miyah Barnes 7, Jasmine Carson 19, Brianna Cooks 2, Tijuana Griggs 6, Kynadi Kuykendoll 3, Ariel Lane 1, Johné Stewart 4, Jireh Washington 23. White Station (51) — Allanna Black 4, Kayla Bradley 2, Damiah Griffin 12, Kyla Harris 3, Tamia Jones 5, Taelor Manning 2, Dejah Montgomery 6, Brittni Moore 8, Taylor Williams 9. Overton (54) — Kiante Butts 4, Rodrea Echols 6, Marquesha Fennell 5, Kyla Green 7, Ciera Pettis 23, Kiara Pettis 2, Kayla Williams 7. Manassas (60) — Joslynn Basemore 12, Ranesha Brown 15, Tonesha Clayborne 16, Latonia Farley 2, Markeshia Scott 6, Timia Taylor 2, Jasmine Walker 7. Craigmont (85) — Nakiya Brown 4, Danielle Conley 21, Keveona Fayne 5, Mariah Houston 4, Akeria James 9, Morgan Morris 15, Jessica Neal 13, Tiara Reed 2, Daja Scurlock 10, Antinique Williams 2. Records — Manassas 13-9, Craigmont 27-4. Lausanne (56) — Breanna Bullock 12, Kat DelPriore 7, Sarah Edwards 2, Taa'lor Fondren 6, Addie Haverkost 2, Keyla Pointer 2, Selena Pruitt 9, Princess Stark 16. Fayette Aca. (43) — Kaitlin Bowers 3, Kaylie Carter 2, Sarah Layne Ellis 2, Abby Hilliard 3, Emily Hunt 7, Lauren Lessel 5, Kayli Skelton 21. Records — Fayette Aca. 17-11. Rossville Christian (27) — Maddie Anderson 3, Gracie Cairncross 4, Hannah Hurdle 1, Caroline Loftin 8, Mary Cathryn Mathis 2, Kara Novarese 9. Harding (53) — Jacaila Davis 5, Valecia Harris 3, Anna Horner 9, Hadley Horner 5, Abigail Howell 2, Antoinette Lewis 12, Sarah Luttrell 4, Carley Rhoads 1, Callie Stubbs 12. Catholic (35) — Suzanne Dease 8, Zarera Ector 12, Lytia Flowers 4, Deyon Gipson 1, Gabby Moore 10. Northpoint (64) — Ashtyn Baker 14, Lindsay Bramlitt 1, Lauren Gross 10, Hannah Shafer 4, Jade Wells 21, Lindsey Whiteside 14. Records — Catholic 12-15, Northpoint 26-2. ECS (50) — Emma Baltz 2, Daisha Jiles 6, Emily Lytle 40, Jordan Shackleford 2. USJ (56) — Aristorenas 2, Hulme 14, Jett 3, A. Jones 29, Stallings 3, Tenpenny 2, Williams 3. Records — ECS 14-13, USJ 28-1. Southwind (35) — Ya'Taria Coleman 12, Moneisha Cooper 2, Pinkie Fossett 2, Kyra Hammond 2, Kira Lowery 13, Ebony Shaw 4. Houston (76) — Melisa Carter 2, Shaela Gardner 12, Madison Griggs 11, Jayla Hemingway 24, Sammiyah Hoskin 2, Sydney Malone 8, Kelsey Nadler 5, Jaida Roper 7, Shannon Sharp 5. 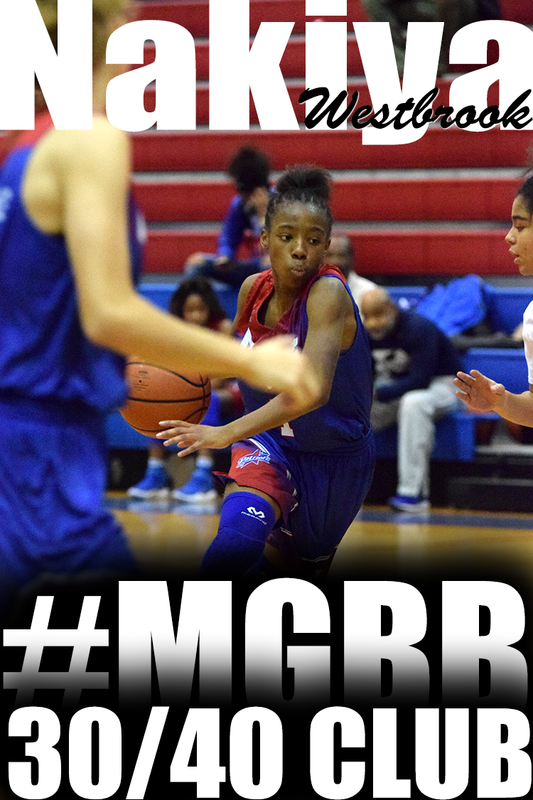 MLK Prep (22) — Dyrianda Johnson 11, Timeria McCullough 6, Kiyanah Merriweather 1, Quiesha Paige 2, Eboni Young 2. Craigmont (60) — Nakiya Brown 10, Danielle Conley 11, Keveona Fayne 3, Mariah Houston 2, Akeria James 7, Morgan Morris 12, Jessica Neal 2, Tiara Reed 1, Daja Scurlock 8, Jasmine Thornton 2, Antinique Williams 2. Sheffield (47) — Breanna Beason 16, MaKayla Billups 5, Miata Borders 9, Nikita Mays 4, Destany White 13. Raleigh-Egypt (61) — Tasia Bland 5, Taylor Bridges 6, Diamond Hunt 7, Britney Johnson 11, Manaya Jones 12, Jakayla Robinson 8, Japerria Robinson 2, Whitney Smith 4, Ronni Williams 6. Trezevant (64) — Sachmere Bougard 6, Richara Cooper 7, Sade Hudson 34, Emma Jackson 6, Brandy Shannon 5, Kearra Tucker 2, Jessica Walker 4. Manassas (67) — Joslynn Basemore 23, Ranesha Brown 9, Tonesha Clayborne 13, Rakeeva Curry 3, Latonia Farley 11, Markeshia Scott 2, Timia Taylor 2, Jasmine Walker 4. Westwood (40) — Carleesia Austin 2, Breanna Boyd 14, Markeila Burton 2, Marnique Burton 11, Jasmyne Long 6, Tacorria Stokes 2, Precious White 3. Douglass (62) — Marquera Carnes 14, Gazmyne Herndon 24, Antonekka Jones 4, Kierra Morris 11, Launtrest Readus 9. KIPP (45) — Bria Brown 2, Jocelyn Carr 5, Jeshuna Clark 1, Shatera Howard 18, Anterraka Malone 13, Brandy McGee 6. Mitchell (80) — Vertonia Bady 20, Dominique Chatman 8, Karissa Hamlet 2, Shakirra Hearn 2, Anterria Jackson 6, Chancey Jackson 6, Dominique McAdory 4, Kiara McCollins 10, Derinisha Taylor 16, Anterrika Willis 6. 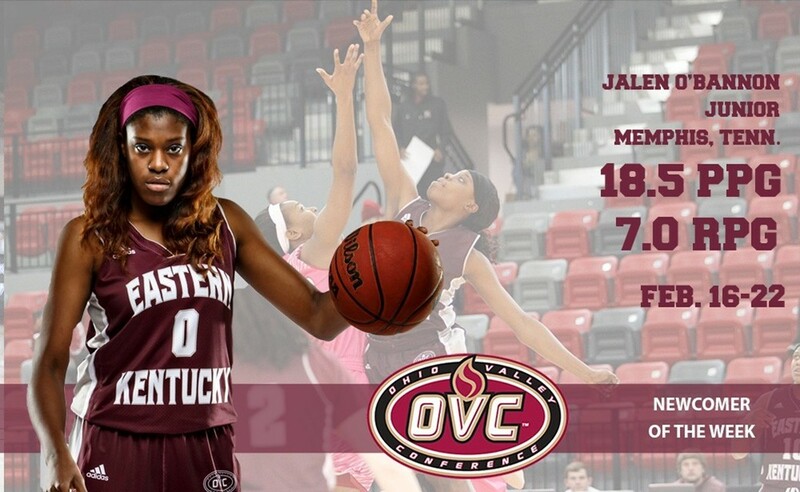 MBA (63) — Simphany Gillard 9, Shameria Murry 18, Kamequa Rucker 8, Alexis Rutic 21, Antionette Shipp 7. Oakhaven (69) — Tayonia Ash 6, MiKayla Beamon 11, Jalecia Cowan 5, Corlishia Howard 42, Lydia Robertson 2, Jazlynn Smith 3. Records — MBA 16-9, Oakhaven 19-5. Power Center Aca. (37) — Surina Finnie 16, Renae McLaurin 2, Jasmine Smith 5, Rahja White 8, Kayla Williams 2, Makaila Wright 4. W.E.B. DuBois (62) — Alexis Acoff 7, Madalyn Acoff 13, Jaida Bachus 15, Kayla Clay 2, Christal Harris 1, Valessyia Harris 2, Diamond Nelson 22. Records — W.E.B. DuBois 18-1. GRAD Academy (27) — Jasmine Collins 6, Shantel Collins 4, Ayana Coppage 3, C. Stone 4, Shauna Taylor 2, Kanesha Wright 2, S. Anderson 6. Washington (56) — Carnessia Griggs 7, Derrinesha Jackson 16, Myneshia Johnson 4, Asia Mosley 12, LeVesha Parish 2, Niesha Thomas 3, Tiana Williams 12. Hillcrest (10) — Kadeeja Patterson 10. Washington (84) — Carnessia Griggs 11, Derrinesha Jackson 20, Trenavous Jackson 2, Myneshia Johnson 7, Asia Mosley 4, LeVesha Parish 2, Kaylan Perkins 6, Niesha Thomas 8, Johneshia Walker 6, Brianna White 7, Tiana Williams 9, Derricka Crumpton 2. MHEA (58) — Annaliese Burnett 2, Jamie Crum 33, Kylie Loadholt 3, Catie Shoemaker 2, Lindsey Vaughn 15, G. Reed 3. Briarcrest (37) — Morgan Hunt 13, Marika Owens 5, Savanna Owens 12, Brianna Pope 3, Rachel Sullivan 4. Memphis Metro (55) — Ellie Adkisson 3, Teal Battle 16, Benise Duhart 2, Zaire Hicks 14, Christina Nichols 6, Laura Spradlin 2, Ciara Taylor 11, Sophie Claire Williams 1. Brighton (33) — Danielle Collins 12, Kailey Hunt 6, Shayna Johnson 2, Lindsey Morrissette 4, Haley Simpson 4, Sam Sloan 5. Records — Memphis Metro 25-5. St. Benedict (49) — Taylor Barnes 10, Nicole Ferris 10, Myah LeFlore 15, Braxton Powers 3, Nicole Ungaro 11. Dyer Co. (54) — Olivia Crane 11, Tori Daniels 11, Hailey Hicks 6, Courtney Maupin 8, Amanda Pugh 6, Amber Thompson 10, Kaylee Anderson 2. Records — St. Benedict 20-6, Dyer Co. 22-5. Wooddale (22) — Lia Carter 1, Tarsha Ivory 10, Tatianna Kimber 5, DaShona Richard 4, Briana Williams 2. Ridgeway (64) — Takesia Barnes 8, Brandi Beasley 24, Mericle Blake-Hall 4, Secret Brown 4, Elizabeth Dixon 13, Cassye Greer 4, Shenobia Stewart 7. Melrose (20) — Keanna Conner 4, Jatera Miller 10, Joelysa Spencer 6. Overton (82) — Kiante Butts 10, Rodrea Echols 13, Marquesha Fennell 9, Dontrecia Johnson 7, Ciera Pettis 19, DéAsya Reeder 4, Kayla Williams 20. East (30) — Shaquala Brown 6, Kailyn Downs 1, Kayla Freeman 12, Aaliyah Mitchell 3, Jaylin Perry 3, Radarika Washington 5. White Station (68) — Allanna Black 8, Kayla Bradley 5, Damiah Griffin 20, Taelor Manning 4, Dejah Montgomery 12, Brittni Moore 10, Taylor Williams 9. Ripley-Tenn. (49) — Adams 3, Barbee 17, Cooper 6, Currie 9, Lee 14. Millington (46) — Tamia Aldridge 5, Jherika Brown 7, Glenda Garner 11, Tazerria House 1, Keyona Johnson 4, Marquisha Sanders 18. Soulsville (61) — Brianna Brown 4, Martiana Chatman 5, LaTerica Davis 4, Kaylin Fields 4, O. Franklin 2, Jayla Hampton 3, Oriana Jones 21, Yuneique Meredith 16, DeZaria Powers 2. KIPP (66) — Bria Brown 11, Jocelyn Carr 10, Jeshuna Clark 16, Shatera Howard 10, Anterraka Malone 17, Destiny Pickett 2. 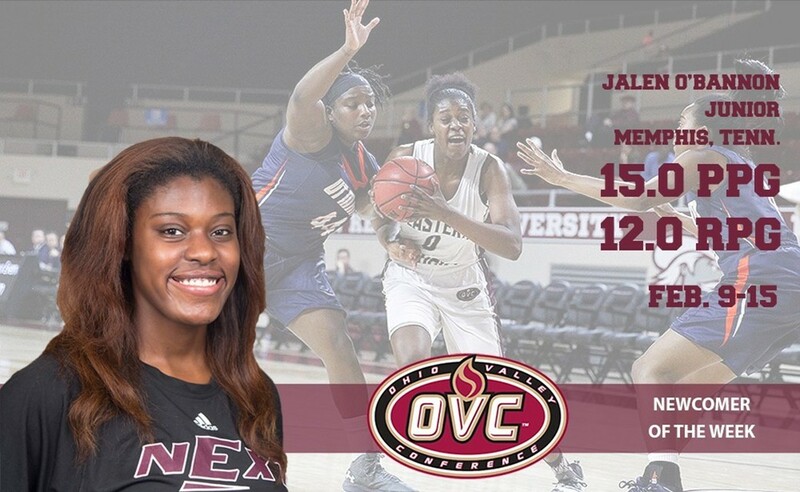 City University (33) — Taylor Allen 6, Tezala Danner 4, Miracle Gober 8, Acacia Phillips 13, Destiny Taylor 2. MBA (59) — Simphany Gillard 9, Shameria Murry 26, Kamequa Rucker 20, Alexis Rutic 2, Antionette Shipp 2. Memphis School of Excellence (21) — L. Carter 6, Tyia Harvey 10, Iyanna Staley 2, Shantell Turner 3. 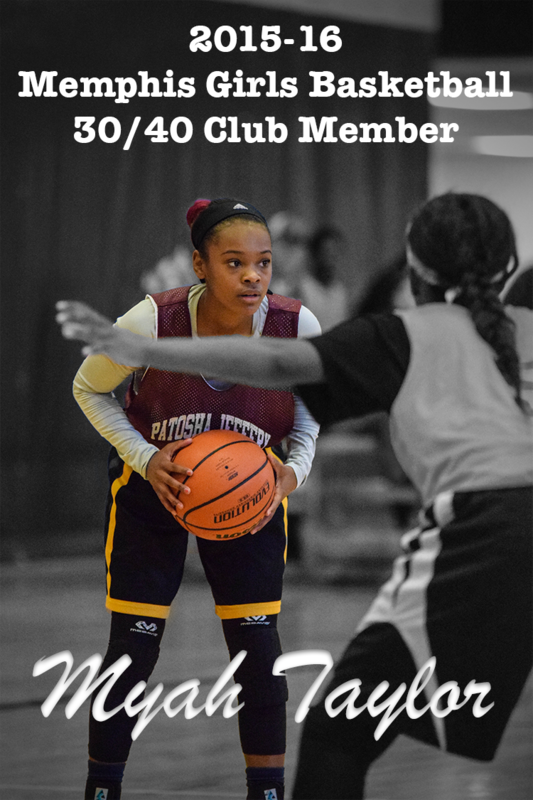 Mitchell (67) — Dominique Chatman 8, Karissa Hamlet 2, Anterria Jackson 9, Dominique McAdory 4, Kiara McCollins 12, Anterrika Willis 28, Zakiyyah Withers 4. Middle College (13) — Brittney Combest 5, Domonique Harris 2, Erin Rogers 6. Oakhaven (53) — Tayonia Ash 2, MiKayla Beamon 8, Jalecia Cowan 6, Corlishia Howard 33, Akilah Powell 1, Lydia Robertson 2, Jazlynn Smith 1. Northside (25) — Xavier Richardson 4, Charlesetta Riley 4, Christianna Taylor 7, Shunda Thomas 2, Trakesha Whiting 8. Power Center Aca. (53) — Kelsey Banks 10, Jaylyn Brown 2, Surina Finnie 17, Jasmine Smith 9, Rahja White 5, Tavion Williams 2, Makaila Wright 8. Records — Power Center Aca. 14-6. 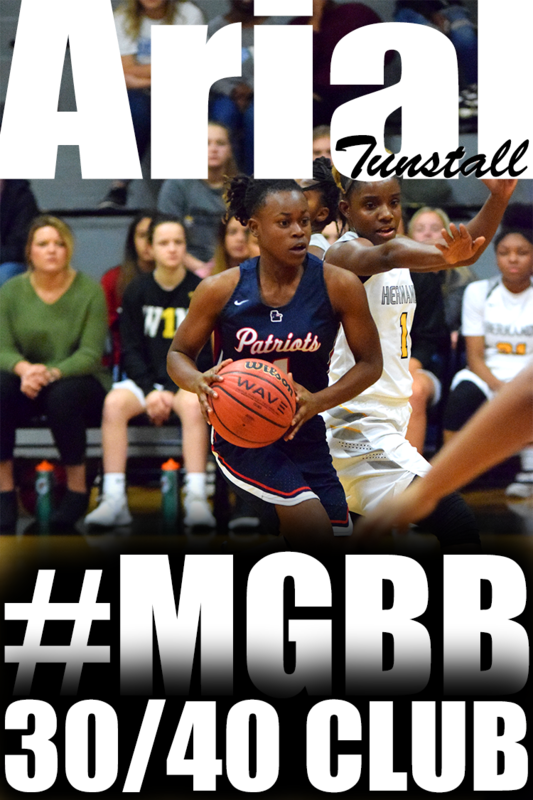 MAHS (25) — Tamia Boyland 10, Tierney Echols 3, Joi Gary 3, Venesha Jett 7, Angela Triplett 2. W.E.B. DuBois (66) — Alexis Acoff 24, Madalyn Acoff 15, Jaida Bachus 6, Kayla Clay 2, Diamond Nelson 19. Records — W.E.B. DuBois 16-1. Tipton-Rosemark Aca. (25) — Taylor Beasley 2, Emily Fisher 2, Brittany Hall 4, Ally Naifeh 6, Megan Sanfratello 3, Abby West 8. ECS (50) — Daisha Jiles 18, Emily Lytle 25, Adrienne Teed 7. Sacred Heart (13) — Katie Chouinard 2, Gale Fitzgerald 2, Hannah Fitzgerald 6, C. Richardson 1, N. Smith 2. Lausanne (62) — Breanna Bullock 6, Hagen Carter 2, Kat DelPriore 6, Sarah Edwards 2, Taa'lor Fondren 6, Addie Haverkost 6, Keyla Pointer 2, Selena Pruitt 22, Princess Stark 4, Fiona Toomey 2, Kristen Wright 4. Records — Sacred Heart 1-26, Lausanne 16-9. FACS (46) — Bionka Massie 28, Carmen Moore 10, Riley Willard 4, MacKenzie Youd 4. Rossville Christian (48) — Breana Bing 4, Gracie Cairncross 2, Caroline Loftin 22, Mary Cathryn Mathis 12, Kara Novarese 8. Records — Rossville Christian 19-7. Catholic (57) — Suzanne Dease 11, Zarera Ector 12, Lytia Flowers 15, Deyon Gipson 2, Harmony Lucas 4, Gabby Moore 10, Cheyenne Smith 2, Shania Smith 1. St. George's (44) — Abbie Cloutier 1, Ann Ragan Grissom 15, Grace Kenley 5, Gracie Maiden 6, Makayla Smith 3, Miaya Smith 8, Adi Thrasher 6. 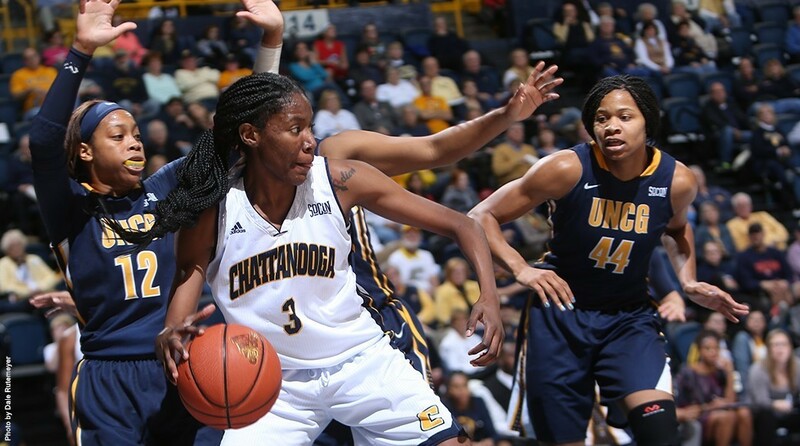 Kirby (42) — Marneisha Hamer 25, Desirea Jackson 13, Juantia Walton 4. Germantown (46) — Breaunna Burks 13, Jada Horn 6, Destinee Manning 6, Davielle Moore 9, Julie Sandridge 3, Carria Smith 9. Collierville (48) — Destiney Amaefula 3, Daija Boyd 5, Trinity Farmer 8, Kyra Pryor 4, Alexis Taylor 10, Jada Taylor 7, Lauren Taylor 11. 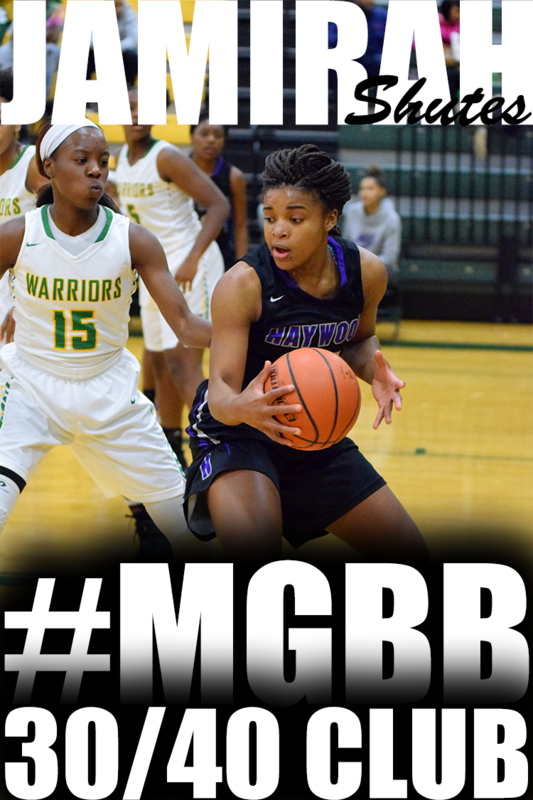 Southwind (58) — Ya'Taria Coleman 22, Moneisha Cooper 1, Kyra Hammond 2, Kira Lowery 21, Dazae Marshall 3, Ebony Shaw 9. St. Mary's (45) — Lucy Chancellor 2, Hattie Fogarty 2, Jean Jackson 16, Margie Peeler 1, Evelyn Roberts 16, Mary-Harper Robinson 8. FACS (49) — Kendall Laury 3, Bionka Massie 26, Carmen Moore 12, Riley Willard 7, MacKenzie Youd 1. Here is the schedule of games for the first round of the 16-A girls basketball tournament. All games will be played on Tuesday. 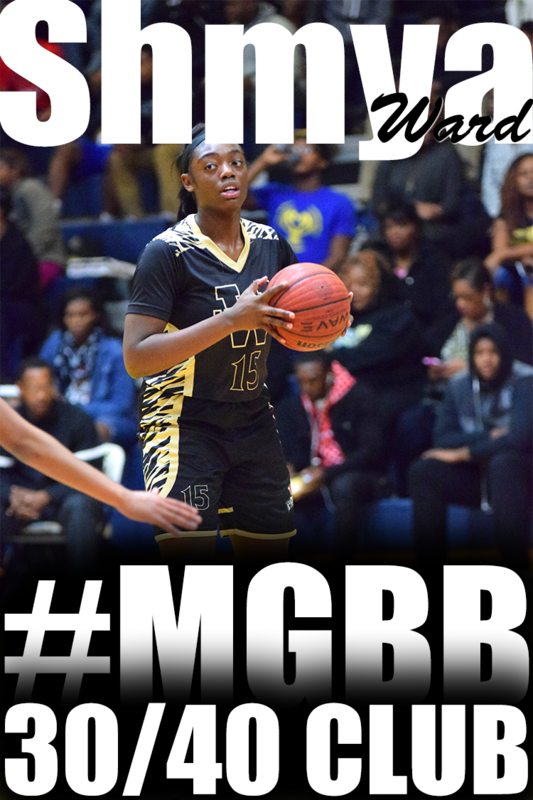 GRAD Academy vs. MASE at Middle College, 5 p.m.
Memphis School of Excellence at Mitchell, 6 p.m.
Hillcrest at Booker T. Washington, 6 p.m.
Middle College at Oakhaven, 6 p.m.
Northside at Power Center Academy, 6 p.m.
City University at Memphis Business Academy. 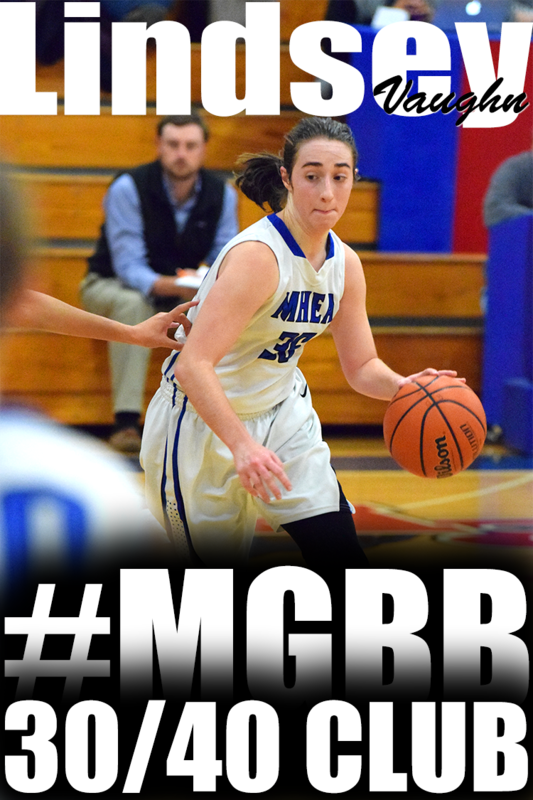 6 p.m.
MAHS at W.E.B. DuBois, 7 p.m.
Soulsville at KIPP, 7 p.m. Here is the schedule of games for the District 15-AAA girls basketball tournaments. The early-round games will be played at the home of the higher-seeded team and the semifinals and finals will be hosted by Houston. Kirby at Germantown, 6 p.m.
Wooddale at Ridgeway, 6 p.m.
Southwind vs. Houston, 6 p.m.
Kirby/Germantown winner vs. Wooddale/Ridgeway winner, 6 p.m. Here is the schedule of games for the Division 2-A West Region girls basketball tournaments. The early-round games will be played on the home floor of the higher-seeded team while the semifinals and championship games will take place at Tipton-Rosemark Academy. Semifinals, 2 and 5 p.m.
Others receiving 12 or more points: Lexington 12. Arlington (73) — Raegyn Branch 8, Nakia Grandberry 4, Taylor Lattimore 9, Ashley Lee 12, Callie McMorran 9, Tori Sewell 21, Caitlyn Wilson 10. Bolton (50) — Alyia Lee 3, Kiki Logan 6, Amrie Nickelson 2, Lakyia Parker 11, Heaven Thompson 11, Briana Tipton 3, Kerrice Watson 9, Misha Wright 5. Records — Arlington 22-7 (7-1, 14-AAA), Bolton 12-15 (5-3). Hutchison (30) — Kerrigan Braxton 5, Rainey Charbonnet 3, Gardner Dunavant 4, Elizabeth Farnsworth 1, Jordan Groover 1, Macy McCullough 4, Madison Moore 9, Catey Nelson 3. 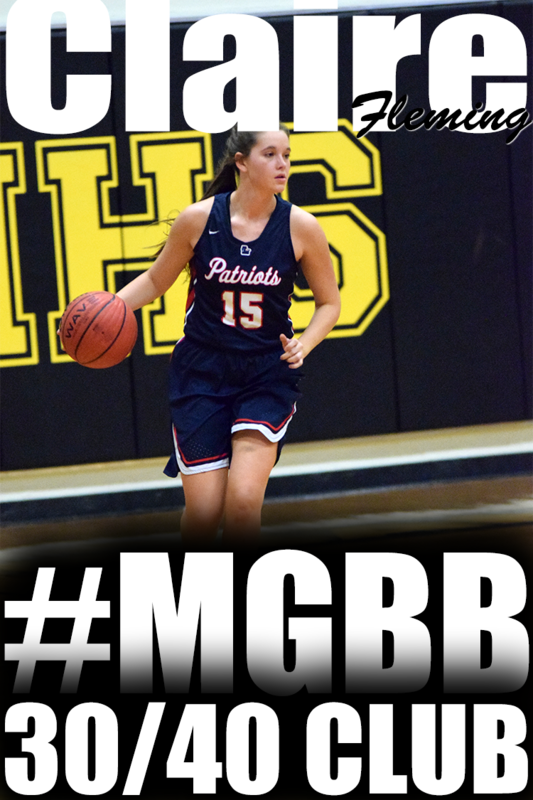 Briarcrest (76) — Elizabeth Barry 5, Evyn Graham 6, Anna Marie Hays 2, Caitlin Hunt 14, Morgan Hunt 4, Marika Owens 6, Savanna Owens 22, Brianna Pope 2, Jewel Robinson 2, Rachel Sullivan 9, Lauren Taylor 2, Holland Heinz 2. Records — Hutchison 9-12, Briarcrest 13-14 (4-1, Division 2-AA). ECS (49) — Emma Baltz 2, Daisha Jiles 5, Emily Lytle 28, Jordan Shackleford 10, Adrienne Teed 4. Catholic (42) — Suzanne Dease 5, Zarera Ector 4, Lytia Flowers 3, Deyon Gipson 7, Harmony Lucas 2, Gabby Moore 19, Cheyenne Smith 2. Records — Catholic 10-12 (5-7, Division 2-A). Bartlett (57) — Karagan Coggin 6, Kennedy Crawford 2, Stella Gill 8, Jessica Jackson 15, Ashley Payne 2, Teaya Reaves 2, Charity Savage 12, Dee Dee Williams 7, Molly Word 3. Cordova (27) — Taylor Christian 10, India Daniels 1, Zakyia Head 2, Deaundra Poe-Wilkins 4, Jerhonise Rollins 2, Andreana Wrister 8. Records — Bartlett 14-12 (6-2, 14-AAA), Cordova 4-16 (0-8). Haywood (51) — Calloway 3, Perry 2, Shutes 21, Smith 11, Tharpe 7, Young 7. Covington (40) — Tia Bland 7, Kiara Booker 11, Khylee Dowell 2, Alexis Johnson 1, Malia Johnson 2, Treasuary Poindexter 11, Lamia Udley 6. Records — Haywood 22-4 (12-0, 13-AA), Covington 21-5 (9-2). KIPP (20) — Jocelyn Carr 5, Jeshuna Clark 3, Shatera Howard 4, Anterraka Malone 2, Brandy McGee 6. Douglass (57) — Marquera Carnes 7, Gazmyne Herndon 32, Antonekka Jones 9, Kierra Morris 5, Launtrest Readus 4. Northpoint (79) — Ashtyn Baker 5, McKinley Baker 3, Lindsay Bramlitt 8, Micaela Brown 4, Allie Enders 3, Lauren Gross 5, Amara McKay 1, Hannah Shafer 8, Hadie Sowell 3, Caroline Swindoll 6, Jade Wells 12, Lindsey Whiteside 21. FACS (35) — Bionka Massie 10, Carmen Moore 9, Riley Willard 7, MacKenzie Youd 9. Records — FACS 3-17 (1-11, Division 2-A). Sacred Heart (13) — Katie Chouinard 2, Gale Fitzgerald 2, Hannah Fitzgerald 4, B. Marks 1, E. Delavaraga 4. Fayette Aca. (56) — Kaitlin Bowers 4, Abby Hilliard 11, Emily Hunt 3, Lauren Lessel 11, Hayley Moffatt 2, Kayli Skelton 8, Heather Slocum 15, Alex Wadley 2. Records — Fayette Aca. 17-10 (7-3, Division 2-A). 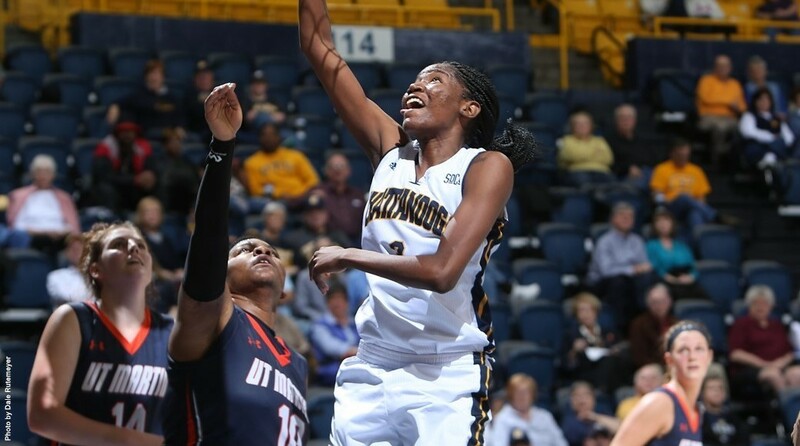 Lausanne (41) — Breanna Bullock 7, Kat DelPriore 6, Taa'lor Fondren 2, Selena Pruitt 14, Princess Stark 10, Kristen Wright 2. Harding (51) — Zaria Christy 5, Valecia Harris 2, Anna Horner 4, Antoinette Lewis 22, Sarah Luttrell 9, Callie Stubbs 9. Records — Harding 21-5 (11-1, Division 2-A). Memphis Metro (58) — Teal Battle 13, Zaire Hicks 10, Kaila McDaniel 3, Christina Nichols 3, Ciara Taylor 28, Sophie Claire Williams 1. Millington (35) — Tamia Aldridge 7, Jherika Brown 5, Traci Clark 2, Glenda Garner 8, Tayunna Hickerson 2, Keyona Johnson 2, Marquisha Sanders 9. Records — Memphis Metro 22-5, Millington 8-17. Center Hill (25) — Rochelle Cathey 2, Victoria Dailey 8, Danielle Hopkins 6, Kalexis Judge 2, Carrington Kneeland 3, Jada Spratt 3, Robyn Williams 1. Southaven (58) — Jenna Cunningham 4, Emily Evans 7, Shaniia Green 4, Erica Jones 8, Tan Metcalf 6, Tye Metcalf 13, Astraea Moore 11, Gabrielle Morgan 5. USJ (78) — Aristorenas 7, Homberg 8, Hulme 12, Jett 3, A. Jones 22, E. Jones 9, Stallings 9, Tenpenny 2, Norris 2, Kwashingrah 2, Carter 2. St. George's (38) — Brook Goodman 2, Ann Ragan Grissom 8, Gracie Maiden 4, Makayla Smith 3, Miaya Smith 5, Adi Thrasher 16. It's been a long time since the Mitchell boys basketball team has been runner-up in anything. But the Tigers were clearly second-best on Saturday. Chauncey Blakely, the game's Most Outstanding Player, and Tyree Beason each scored 21 points as Booker T. Washington sent out a warning shot to the rest of the state, defeating the Tigers 65-50 in the SCIAA Class A county title game at Southwind. Mitchell, the two-time defending state champ, hadn't lost against Class A competition since dropping down before the 2013-14 season. Included in that run of 64 games were lopsided wins over the Warriors in the previous two county championships. But BTW, which has won 14 in a row, started on a 15-0 run and had an answer every time Mitchell looked like it would make something happen. "They were very focused the last two years and we were very unfocused," said BTW coach Antonio Harris. "But we've been extremely focused all year. "We've got three seniors who have played together since middle school and they just want to win every doggone game they can. Especially now that it's the postseason." Mitchell close to 46-41 early in the fourth. But the Tigers rushed several shots and missed some big free throws while BTW kept its poise and closed it out. "I was impressed with our leadership, our execution and our attention to detail on defense," said Harris, a former BTW star. "The great teams police themselves, but I still have to say things to get them back in formation. I want them to make me sit down." Tyran Davis and Ladarius Lee each had 19 points to lead the Tigers. Davis missed six free throws, though, including the front end of two one-and-ones. The same two teams met in the girls title game, with Mitchell holding off a late charge to win, 83-75. 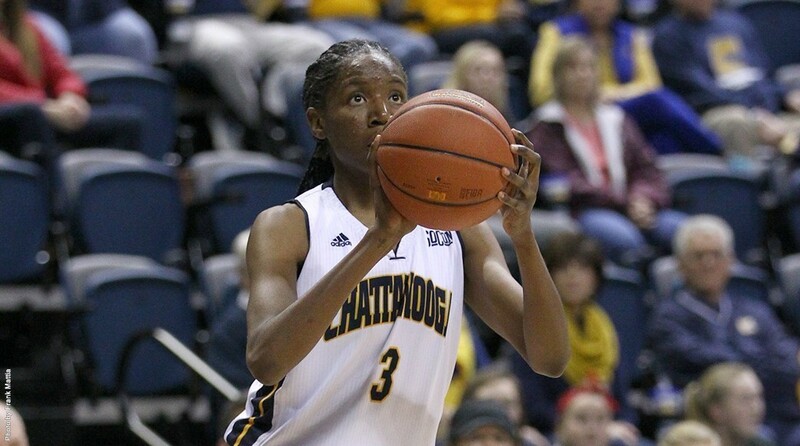 Anterrika Willis scored 24 for the Tigers and Derenisha Taylor added 22. Derrinesha Jackson paced the Warriors with 19 and Asia Mosley chipped in with 18. Another giant fell in the AAA boys game as Germantown held off East, 71-70. The Mustangs, who trailed by 21 early in the fourth, trailed by just one after a Takorian Smith 3-pointer with 8.1 seconds left. Darrell Brown, who led the Red Devils with 27 points, missed two free throws, but Nick Merriweather's jumper at the buzzer was short. "They're so relentless and we didn't turn it over a lot," said Germantown coach Jason James. "Our guards played well." Radarious Washington scored 23 to lead East, which lost for just the second time this year. Central took control early and breezed to the girls AAA crown, 91-36. Jasmine Carson scored 26 to lead the Warriors (28-1). 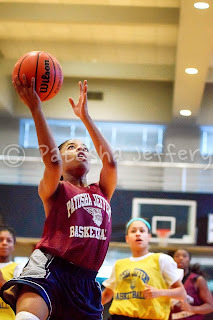 Brianna Cooks came off the bench to score 24. Elizabeth Dixon led the Roadrunners with 16. In AA, Craigmont won the girls title for the third straight year, 83-57 over Douglass. Keveona Fayne scored 14 points and hit four straight 3-pointers early in the third quarter to break open a three-point game. "She had been in a little slump and she was a little timid early in the game," said Chiefs coach Tim Anderson. "We really needed that third scorer today." Danielle Conley scored 22 and Daja Scurlock 10 for Craigmont to offset 32 points from Douglass senior standout Gazmyne Herndon. Sheffield got 17 points from Mario Williams and held Manassas scoreless for the first six minutes of the third quarter to win going away 67-45. Adell Mooney added 13 for Sheffield, which outscored the Tigers 22-10 from the line. Here are the schedules for the District 16-AAA girls basketball tournaments which begin on Tuesday. The first-round games will be played at the home of the higher-seeded team while the semifinals and finals will be played at Melrose. (5) Whitehaven at (4) Hamilton, 3 p.m.
(7) Melrose at (2) Overton, 6 p.m.
(6) East at (3) White Station, 6 p.m.
Melrose/Overton winner vs. East/White Station winner, 6 p.m.
Whitehaven/Hamilton winner vs. (1) Central, 7:30 p.m. Here is the schedule of games for the boys and girls MHSAA 6A regional tournament that will be hosted by DeSoto Central. The top three teams advance. Several area players have been named finalists for the TSSAA's Mr. and Miss Basketball awards, which will be presented next month. Two of the three finalists named in AAA boys Friday hail from Shelby County, with Alex Lomax of East and Nate Hoover of Arlington joining Oak Ridge's Tee Higgins. Local players have won the award in five of the last six years, including Hamilton's Dedric Lawson in 2015. William Douglas of CBHS is a finalist in D2-AA while Chase Hayden of St. George's is a finalist in D2-A. Two local girls were also honored, St. Benedict's Taylor Barnes (D2-AA) and Ashtyn Baker of Northpoint (D2-A). The winners in each division will be announced on March 8 at MTSU's Murphy Center in conjunction with the draw for the boys state tournaments. Westwood (31) — Markeila Burton 3, Marnique Burton 9, Jasmyne Long 15, Patrice Norrington 2, Tacorria Stokes 2. Manassas (63) — Joslynn Basemore 18, Ranesha Brown 7, Tonesha Clayborne 9, Rakeeva Curry 11, Latonia Farley 2, Faith Moore 2, Raychelle Newton 2, Markeshia Scott 6, Timia Taylor 6. Records — Manassas 10-6 (6-3, 16-AA). St. Benedict (50) — Taylor Barnes 10, Catalina Carrasco 3, Kennedy Dlabaj 4, Kristina Ferris 5, Nicole Ferris 8, Lily Gleneck 2, Myah LeFlore 3, Courtney Parker 4, Braxton Powers 8, Nicole Ungaro 3. St. Agnes (30) — Amanda Lammey 15, Lauren Lewis 2, Kindall Ross 6, Lauren Ryan 2, Rachel Siano 3, Amelia Wigley 2. Records — St. Benedict 20-5 (5-0, Division 2-AA), St. Agnes 7-16 (0-5). East (24) — Laterrica Black 4, Kayla Freeman 5, Aaliyah Mitchell 2, Jaylin Perry 5, Radarika Washington 6, Alexis Jones 2. White Station (63) — Allanna Black 12, Kayla Bradley 8, Kyla Harris 2, Tamia Jones 10, Taelor Manning 8, Dejah Montgomery 6, Brittni Moore 10, Alexis Payne 3, Taylor Williams 4. W.E.B. DuBois (61) — Alexis Acoff 22, Madalyn Acoff 6, Jaida Bachus 12, Kayla Clay 4, Diamond Nelson 17. KIPP (49) — Bria Brown 4, Jocelyn Carr 9, Jeshuna Clark 2, Shatera Howard 11, Anterraka Malone 4, Brandy McGee 17, Destiny Pickett 2. Records — W.E.B. DuBois 15-1, KIPP 10-6. Douglass (51) — Marquera Carnes 8, Jahmere Dangerfield 5, Gazmyne Herndon 20, Antonekka Jones 8, Kierra Morris 8, Launtrest Readus 2. Manassas (47) — Joslynn Basemore 15, Ranesha Brown 7, Tonesha Clayborne 3, Alexis Craft 3, Rakeeva Curry 3, Latonia Farley 2, Markeshia Scott 10, Jasmine Walker 4. Records — Douglass 11-8 (7-4, 16-AA), Manassas 11-8 (6-5). Memphis Metro (57) — Ellie Adkisson 4, Teal Battle 18, Zaire Hicks 14, Kaila McDaniel 2, Christina Nichols 9, Laura Spradlin 2, Ciara Taylor 8. St. George's (32) — Katherine Clayton 3, Brook Goodman 2, Ann Ragan Grissom 2, Gracie Maiden 2, Makayla Smith 4, Miaya Smith 15, Adi Thrasher 3, Whitney Ziegenhorn 1. Fayette Ware (50) — Morgan Bowling 7, Andeshia Clark 4, Shakyla Hullom 7, Courteshia Jackson 23, Rakia Clark 4, NaCayla McNeal 5. Tipton-Rosemark Aca. (62) — Kallie Alexander 4, Taylor Beasley 22, Brooke Bridges 2, Emily Fisher 4, Brittany Hall 4, Ally Naifeh 11, Megan Sanfratello 5, Abby West 10. Records — Tipton-Rosemark Aca. 13-14. Brandi Beasley, Ridgeway: The Illinois signee is closing her terrific career in style, leading the Roadrunners into Saturday's SCIAA county championship game against Central. Beasley tuned up for the Warriors by scoring 32 points — one off her season high — in Tuesday's 70-53 victory over District 15-AAA rival Collierville. Cordova (11) — Taylor Christian 8, Zakyia Head 3. Arlington (75) — Raegyn Branch 15, Maya Brown 2, Nakia Grandberry 6, Trenity Hill 2, Taylor Lattimore 7, Ashley Lee 6, Callie McMorran 3, Tori Sewell 17, Haylee Smith 7, Caitlyn Wilson 10. Records — Cordova 4-17 (0-7, 14-AAA), Arlington 21-7 (6-1). Kingsbury (27) — Laterykah Austin 1, Marrisha Bell 2, Angelina Couch 2, Canzis Echols 18, Mwanita Neema 4. Bolton (67) — Ceecee Craft 2, Tyler Garner 3, Toni Green 3, Alyia Lee 9, Kiki Logan 2, Marquisa McGregory 5, Amrie Nickelson 4, Lakyia Parker 8, Zoe Simpson 4, Heaven Thompson 12, Kerrice Watson 5, Misha Wright 8, Julie Sessum 2. Records — Kingsbury 4-10 (2-6, 14-AAA), Bolton 12-14 (5-2). Memphis Metro (52) — Teal Battle 17, Grace Harvey 2, Zaire Hicks 15, Christina Nichols 4, Ciara Taylor 14. Briarcrest (49) — Morgan Hunt 11, Marika Owens 15, Savanna Owens 18, Julia Perrusquia 2, Lauren Taylor 3. Records — Memphis Metro 21-5, Briarcrest 12-14. FACS (36) — Kristen Brooks 4, Kendall Laury 1, Bionka Massie 19, Carmen Moore 6, Riley Willard 3, MacKenzie Youd 3. Catholic (47) — Zarera Ector 6, Lytia Flowers 12, Deyon Gipson 6, Harmony Lucas 4, Gabby Moore 12, Cheyenne Smith 5, Shania Smith 2. Records — Catholic 11-12 (4-7, Division 2-A). Melrose (30) — Shatira Brooks 11, Keanna Conner 7, Jatera Miller 2, Joelysa Spencer 9, Zanndrea Watkins 1. Central (64) — Miyah Barnes 11, Jasmine Carson 2, Brianna Cooks 9, Tijuana Griggs 12, Kynadi Kuykendoll 3, Johné Stewart 11, Jireh Washington 16. Records — Melrose 6-13, Central 28-1. Ridgeway (70) — Takesia Barnes 8, Brandi Beasley 32, Mericle Blake-Hall 3, Secret Brown 2, Elizabeth Dixon 16, Cassye Greer 3, Jamilla Hamlett 6. Collierville (53) — Destiney Amaefula 4, Vanessa Christensen 5, Trinity Farmer 4, Kyra Pryor 22, Destiny Shaw 7, Alexis Taylor 7, Jada Taylor 3, Lauren Taylor 1. Records — Ridgeway 18-6 (10-2, 15-AAA), Collierville 16-13 (5-7). Northpoint (50) — Ashtyn Baker 22, Lindsay Bramlitt 2, Lauren Gross 3, Hannah Shafer 10, Jade Wells 8, Lindsey Whiteside 5. Harding (57) — Zaria Christy 2, Valecia Harris 3, Anna Horner 13, Antoinette Lewis 27, Sarah Luttrell 11, Callie Stubbs 1. Records — Northpoint 24-2 (10-1), Harding 20-5 (10-1). 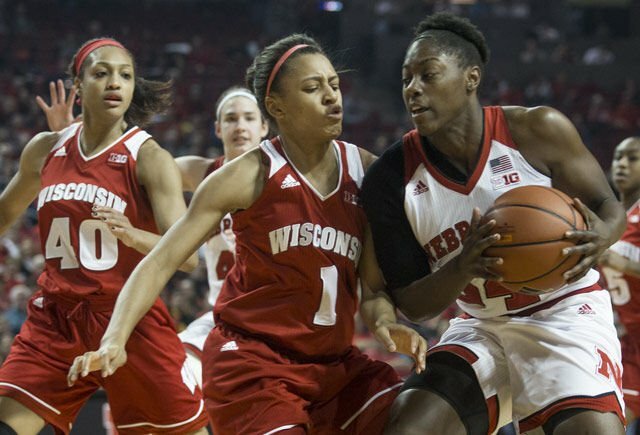 Kirby (47) — Marneisha Hamer 15, Desirea Jackson 24, Juantia Walton 8. Houston (68) — Melisa Carter 4, Shaela Gardner 4, Jayla Hemingway 20, Sammiyah Hoskin 4, Rochelle Lee 20, Sydney Malone 2, Jaida Roper 12, Shannon Sharp 2. Records — Houston 22-2 (12-0, 15-AAA). ECS (48) — Daisha Jiles 11, Emily Lytle 23, Jordan Shackleford 8, Adrienne Teed 6. 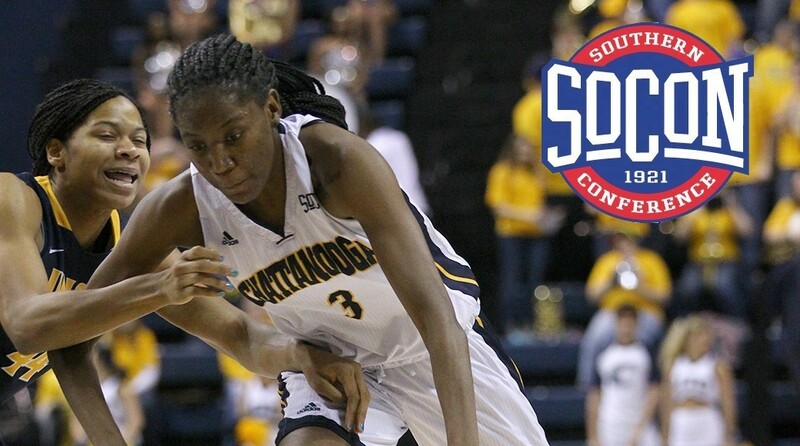 Lausanne (43) — Breanna Bullock 19, Kat DelPriore 5, Taa'lor Fondren 6, Keyla Pointer 8, Selena Pruitt 3, Kristen Wright 2. Records — ECS 11-11 (6-5, Division 2-A), Lausanne 15-8 (7-4). 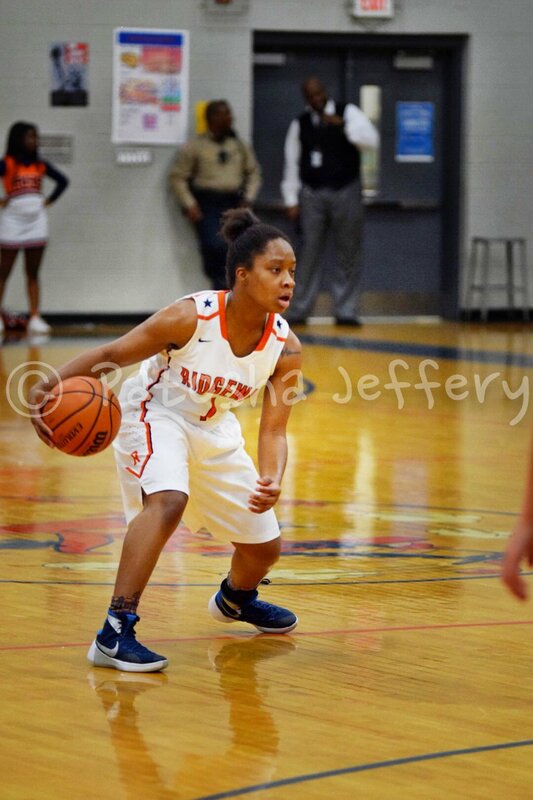 Jackson Northside (34) — Nakilliyah Mercer 6, Destiny Nichols 15, Ermaya Wise 2, Eumiyah Shaw 11. Millington (46) — Tamia Aldridge 9, Jherika Brown 5, Trevona DeSouza 2, Glenda Garner 15, Tayunna Hickerson 4, Tazerria House 5, Keyona Johnson 5, Katlyn Mickey 1. Trezevant (53) — Sachmere Bougard 1, Jasmine Ellis 2, Heaven Frye 2, Makaylah Frye 2, Sade Hudson 15, Emma Jackson 10, Brandy Shannon 8, Kearra Tucker 6, Jaquisha Vaughn 1, Jessica Walker 6. MLK Prep (29) — Dyrianda Johnson 10, Timeria McCullough 2, Kiyanah Merriweather 5, Unique Miller 2, Quiesha Paige 6, Eboni Young 4. Records — MLK Prep 6-16. KIPP (38) — Bria Brown 4, Jocelyn Carr 6, Jeshuna Clark 7, Shatera Howard 6, Anterraka Malone 4, Brandy McGee 4, Destiny Pickett 1, Dereny Spencer 2, Destinee Thomas 4. Northside (33) — Davida Beal 2, Xavier Richardson 1, Charlesetta Riley 11, Starkisha Saine 4, Christianna Taylor 13, Trakesha Whiting 2. Records — KIPP 12-9 (10-6, 16-A), Northside 10-10 (7-9). Westwood (39) — Carleesia Austin 9, Markeila Burton 12, Jasmyne Long 12, Tacorria Stokes 4, T. Washington 2. Oakhaven (42) — Tayonia Ash 4, MiKayla Beamon 5, Jalecia Cowan 3, Corlishia Howard 20, Lydia Robertson 1, Evetta Shannon 2, Jazlynn Smith 7. Hamilton (57) — Samantha Hill 3, Myeala Isaac 5, Shamya London 12, Kyra Nathan 8, Undrea Porter 5, Takya Reid 10, Tesia Thompson 14. Overton (71) — Kiante Butts 9, Rodrea Echols 12, Marquesha Fennell 10, Dontrecia Johnson 10, Ciera Pettis 9, Kayla Williams 21. Central Baptist (15) — Annie Bell 8, Lily Franklin 2, Rhoda Nelson 2, Lauren Cutshaw 3. Rossville Christian (59) — Maddie Anderson 6, Esther Beasley 4, Breana Bing 2, Gracie Cairncross 4, Caroline Loftin 16, Alexis Long 2, Mary Cathryn Mathis 9, Kara Novarese 16. St. Benedict (53) — Taylor Barnes 17, Catalina Carrasco 2, Kristina Ferris 1, Nicole Ferris 3, Myah LeFlore 5, Courtney Parker 3, Braxton Powers 1, Nicole Ungaro 21. Southaven (63) — Emily Evans 14, Shaniia Green 2, Erica Jones 24, Tye Metcalf 7, Astraea Moore 8, Gabrielle Morgan 8. Records — St. Benedict 19-6, Southaven 16-6. St. Agnes (51) — Tess Emerson 2, Amanda Lammey 20, Lauren Lewis 7, Marisa Lewis 4, Caroline Pietrangelo 6, Kindall Ross 2, Rachel Siano 5, Amelia Wigley 5. St. Mary's (32) — Hattie Fogarty 4, Meredith Hood 2, Jean Jackson 4, Margie Peeler 2, Evelyn Roberts 12, Mary-Harper Robinson 4, Brett Silver 4. Records — St. Mary's 3-17. Fayette Aca. (41) — Sarah Layne Ellis 4, Abby Hilliard 2, Emily Hunt 3, Lauren Lessel 8, Kayli Skelton 18, Heather Slocum 3, Alex Wadley 3. Tipton-Rosemark Aca. (27) — Taylor Beasley 6, Brooke Bridges 5, Brittany Hall 3, Ally Naifeh 11, Neely Turner 2. Records — Fayette Aca. 16-10 (6-3, D2-A West). 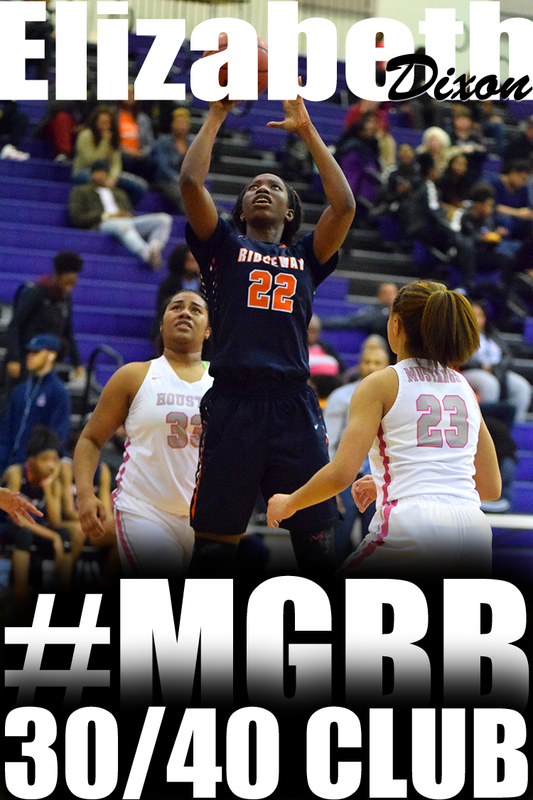 Manassas (44) — Joslynn Basemore 18, Ranesha Brown 9, Tonesha Clayborne 3, Rakeeva Curry 1, Latonia Farley 7, Jasmine Walker 6. Trezevant (36) — Sade Hudson 24, Brandy Shannon 7, Kearra Tucker 1, Jessica Walker 4. Records — Manassas 11-7 (6-4, 16-AA), Trezevant 11-8 (7-5). Hutchison (41) — Gardner Dunavant 1, Elizabeth Farnsworth 13, Jordan Groover 4, Macy McCullough 13, Madison Moore 8, Catey Nelson 2. St. George's (45) — Kirby Betchick 4, Ann Ragan Grissom 16, Makayla Smith 6, Miaya Smith 11, Adi Thrasher 8. Hillcrest (25) — Ashley Champion 4, Latitana Collins 2, Rickiesha Howard 7, Tricilla James 2, Candace McGowan 2, Kadeeja Patterson 8. Power Center Aca. (67) — Kelsey Banks 9, Jada Cooley 7, Surina Finnie 34, Jasmine Smith 6, Rahja White 9, Kayla Williams 2. Douglass (60) — Anterrika Brassell 4, Marquera Carnes 10, Jahmere Dangerfield 4, Jennifer Fletcher 2, Amber Garrett 1, Gazmyne Herndon 21, Antonekka Jones 6, Kierra Morris 8, Launtrest Readus 4. Sheffield (36) — Ayonna Beason 2, Breanna Beason 10, Miata Borders 4, Sebrun Johnson 2, Nikita Mays 6, Cabria Thomas 2, Destany White 6, Kennice Wallace 4. Records — Douglass 12-8 (7-2, 16-AA), Sheffield 10-13 (5-6). St. Mary's (43) — Hattie Fogarty 5, Jean Jackson 12, Margie Peeler 2, Evelyn Roberts 12, Mary-Harper Robinson 2, Brett Silver 10. FACS (46) — Kristen Brooks 1, Bionka Massie 31, Carmen Moore 6, Rachel Nix 4, Riley Willard 1, MacKenzie Youd 3. Records — FACS 3-14 (1-8, Division 2A). Northside (39) — Davida Beal 9, Charlesetta Riley 5, Starkisha Saine 4, Christianna Taylor 16, Trakesha Whiting 5. W.E.B. DuBois (51) — Alexis Acoff 25, Madalyn Acoff 11, Jaida Bachus 6, Kayla Clay 5, Diamond Nelson 4. Records — W.E.B. DuBois 15-1.